Hi! 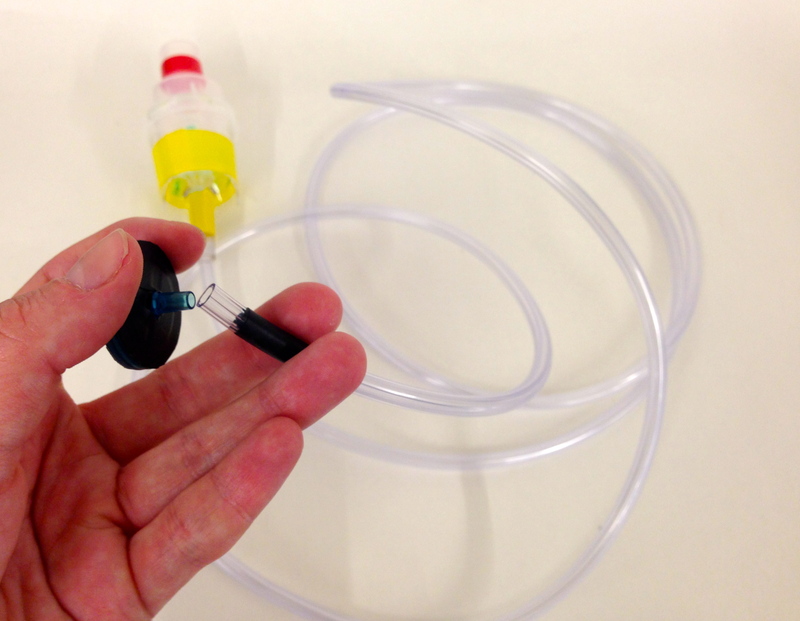 I’m Anna Young @annakyoung and I design DIY medical prototyping kits at Little Devices @ MIT. 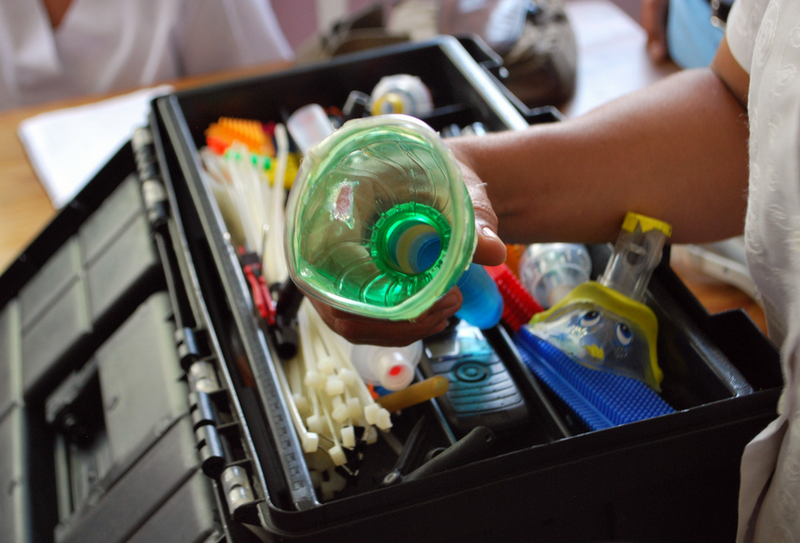 This is our DIY Medtech Week and one of our most popular devices is the foot pump nebulizer kit. Nebulizers are devices that can spray medication into extremely small particles which are then inhaled. Asthma patients around the world use them everyday. 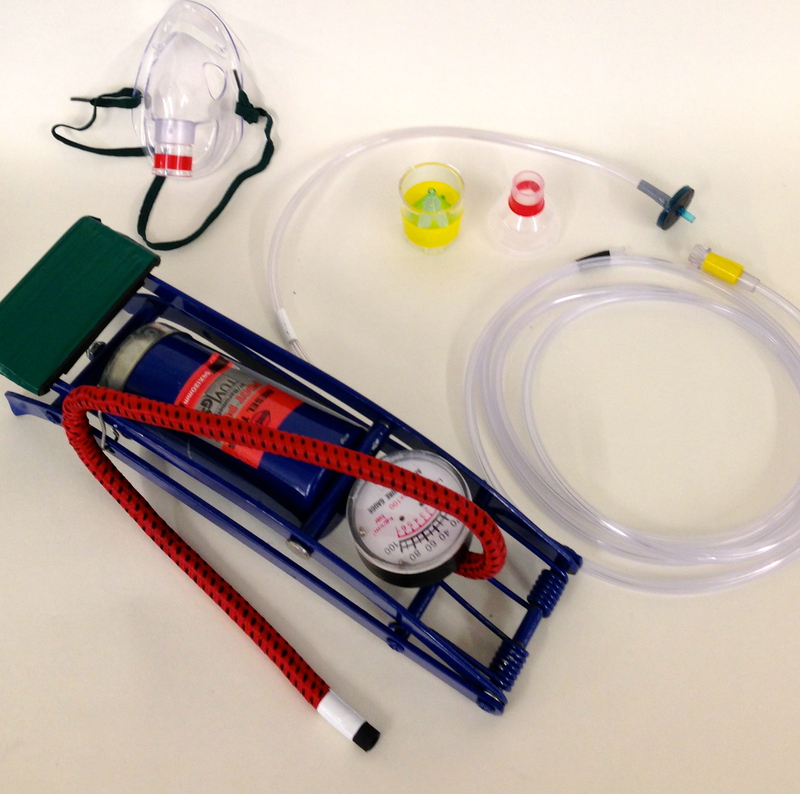 In extreme conditions, the MEDIKit Nebulizer described below will allow someone to get inhalable respiratory therapy without electricity, using off the shelf parts, and for about $10. Enjoy! 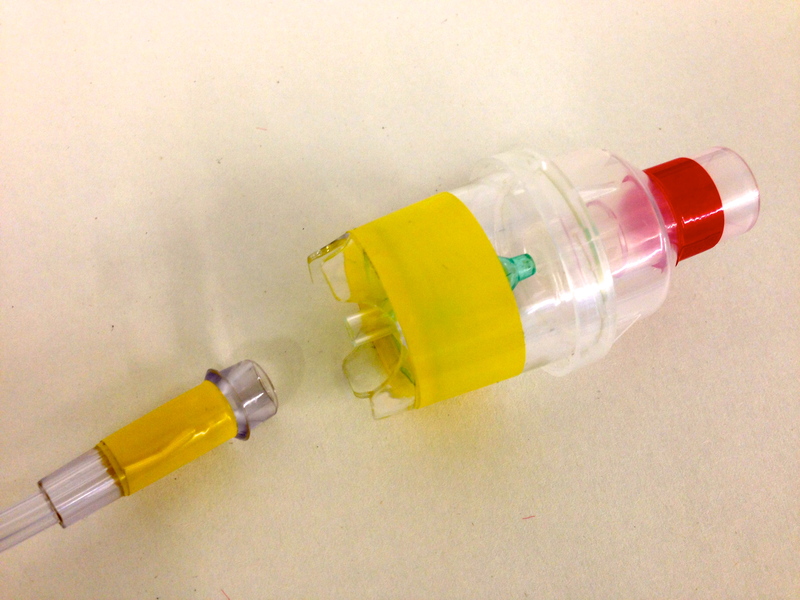 Attach the yellow tubing to the connection at the bottom of the nebulizer cup. Connect the black side of the inline filter to the black tip of the tubing. Connect the gray side of the inline filter to the gray side of the tubing. The other end of the gray tubing has white color-code. 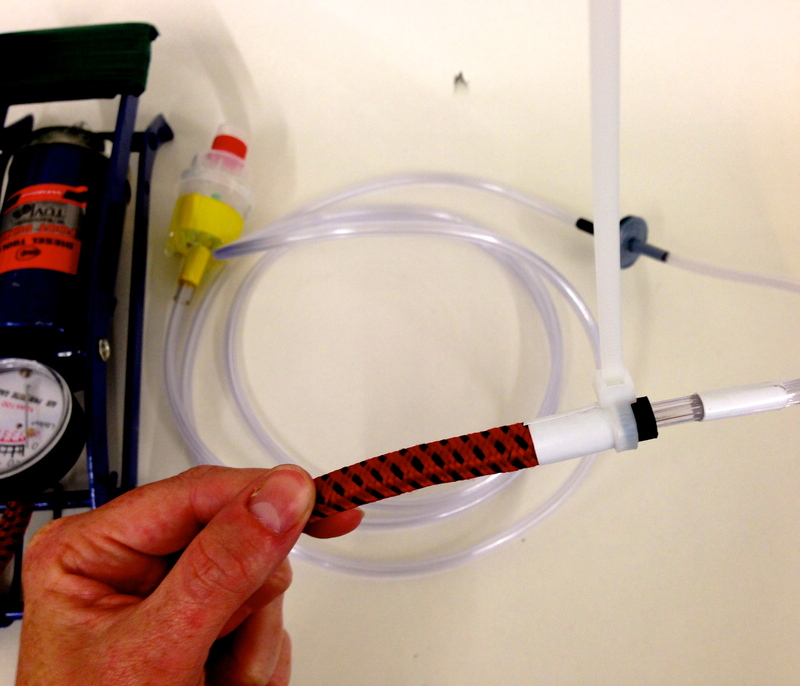 Attach this to the white color-coded end of the foot-pump tubing. You can reinforce this connection with a zip-tie fastened to the bike pump side. Add the patient mask to the top of the cup at the red connection. 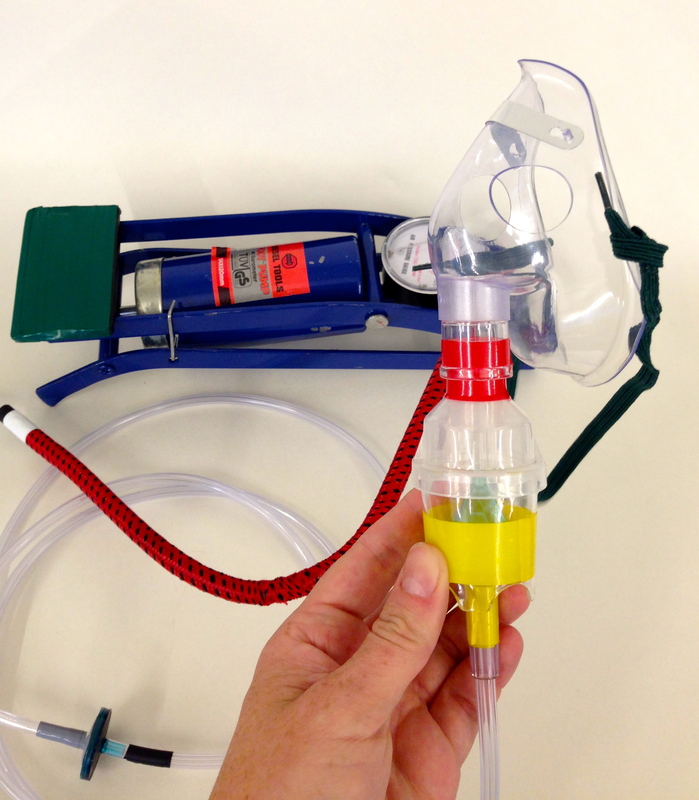 Now, you are ready to nebulize! You will operate the nebulizer at 25-35 stokes per minute to achieve the optimal rate. The nebulizer cup above is approved by the FDA as a safe and accurate medical device. 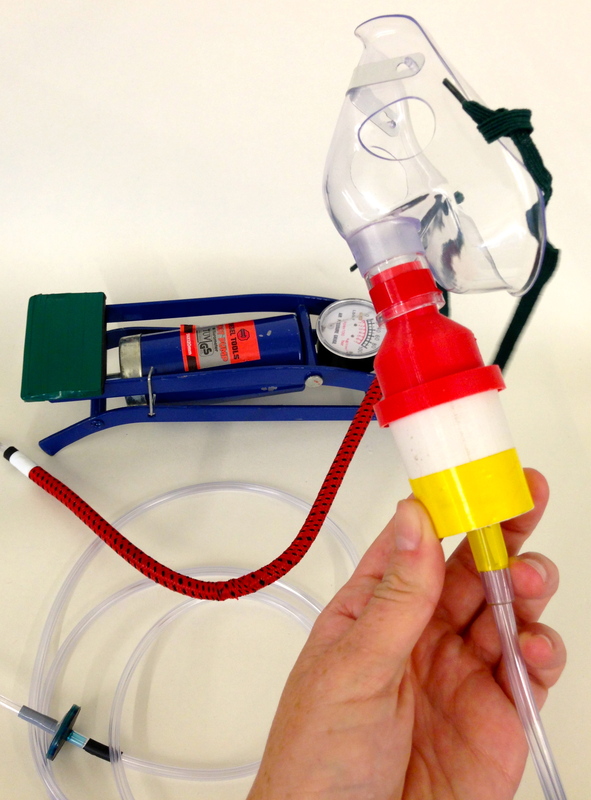 We have uploaded an experimental nebulizer cup on Thingiverse. **NOTE** The nebulizer.stl file on thingiverse should not be considered a medical device and should just be used in prototyping exercises. 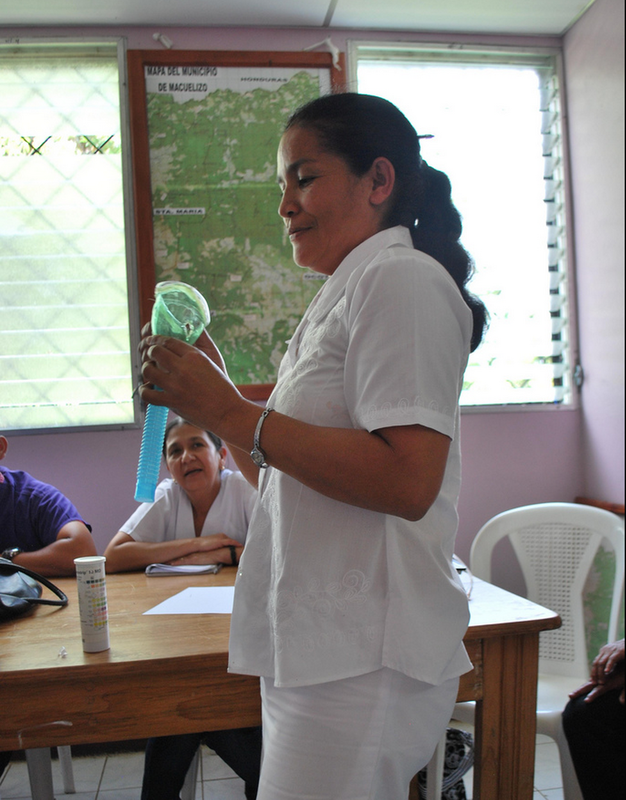 Other Nebulizer modifications: Our friend, Alicia, RN, in Nicaragua made her own nebulizer masks using the end of the plastic bottle and melted tubing to cover the sharp edges. I cannot find the filter anywhere. Please advise. Hello. Is the inline filter a general gas filter, or is there specification (mm) required? 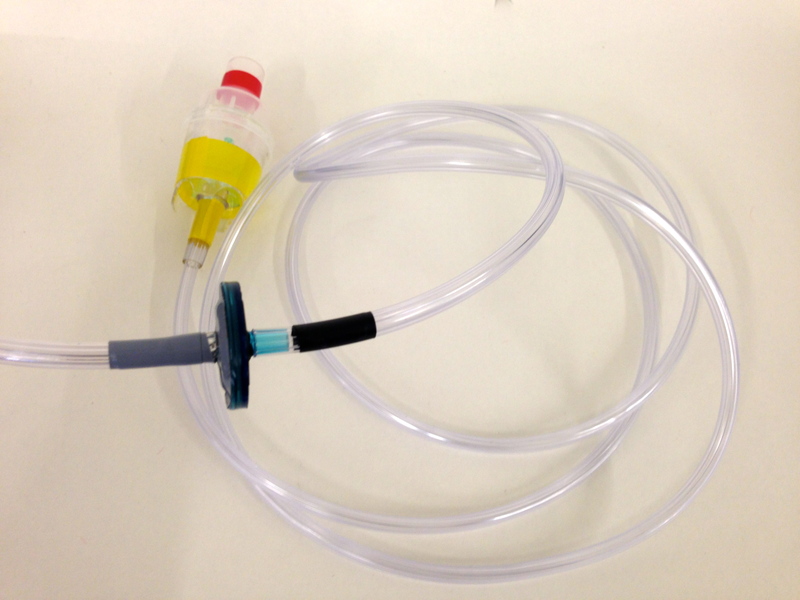 Is it necessary if the pump is used solely for the neb kit? Thanks. 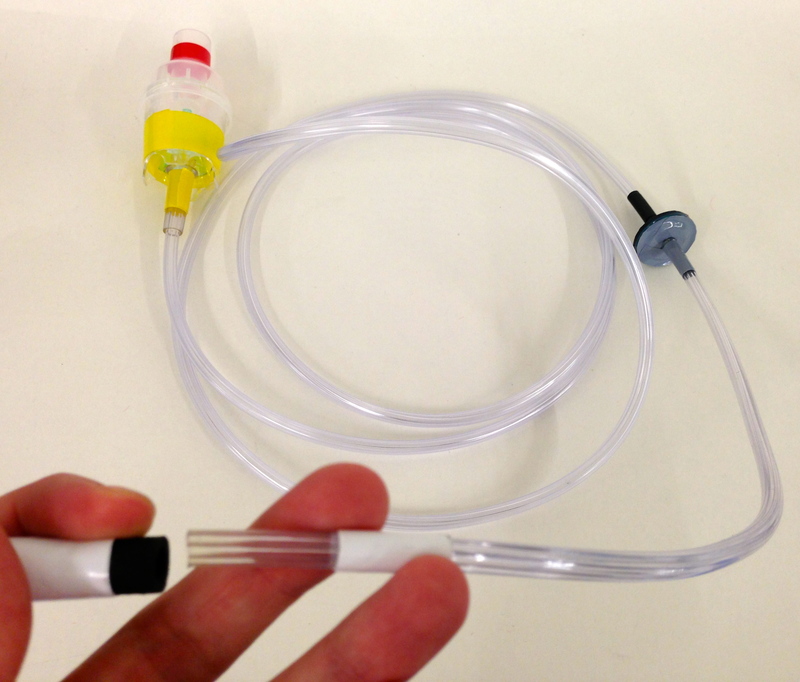 Is that syringe filter/ inline filter is also acting as a non return valve? I have nebulized my kid once following your instructions in an emergency. I observed a little back flow. It would be nice if you suggest another homemade solution for that filter as well. Thanks for your awesome instruction.